Stuck indoors? Landlocked? Dreaming of sunnier days? 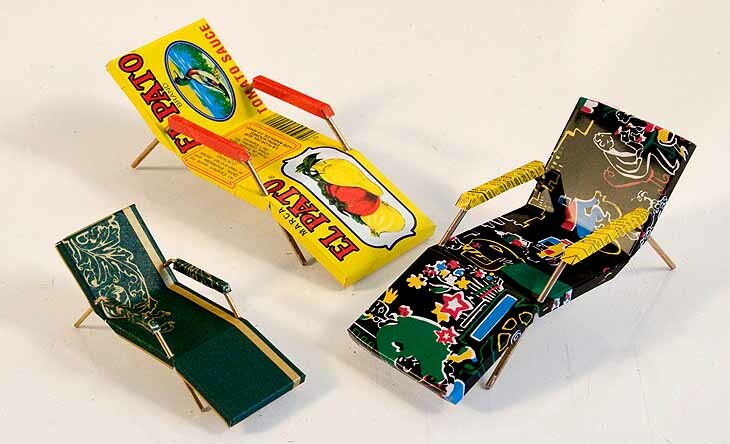 Well now you can bring a little sunshine to your desk with this deck chair. This project is simple and can be made in an afternoon, rain or shine. This plan (as well as the Deck umbrella and Diving board projects) is presented in both 1:20.3 and 7/8″ scales. Pick either size — the steps are identical.